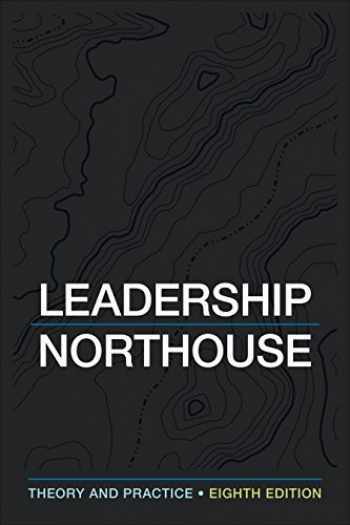 Acknowledged author Peter G. Northouse wrote Leadership: Theory and Practice comprising 528 pages back in 2018. Textbook and etextbook are published under ISBN 1506362311 and 9781506362311. Since then Leadership: Theory and Practice textbook received total rating of 4.5 stars and was available to sell back to BooksRun online for the top buyback price of $42.80 or rent at the marketplace. In this fully updated Eight Edition of Leadership: Theory and Practice, a new chapter on Followership examines the central role followers play in the leadership process and unpacks the characteristics of both effective and ineffective followers. The new edition also includes a new Ethical Leadership Style Questionnaire and new coverage on the dark side of leadership and destructive leadership. Adopted at more than 1600 institutions in 89 countries and translated into 13 different languages, this market-leading text successfully combines an academically robust account of the major theories and models of leadership with an accessible style and special emphasis on how leadership theory can inform leadership practice. Peter G. Northouse uses a consistent structure for each chapter, allowing students to easily compare and contrast the various theories. Case studies and questionnaires provide students with practical examples and opportunities to deepen their personal understanding of their own leadership.